We really enjoyed our day trip to Como. You get plenty of free time to wander both Como City and Bellagio. The boat is more of a ferry, but still a great ride that keeps you comfortable even in the rain. Tour guide provided a lot of information throughout the entire tour. The boat tour was stunning ! The guide was very knowledgeable and friendly. I would recommend this tour it’s simply amazing. 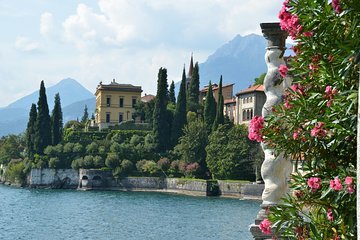 We took this trip from Milan to Lake Como because of the two hour boat ride which was great and the alleged walking tour of Como. But in Como our guide did not seem to know much or be interested in telling us much more than to be back at the meeting point in an hour. We were in Como on a Monday morning - which is half day closing for many retailers, but again our guide didn't seem to know or was perhaps embarrassed to say - you've come here on a Monday morning but the shops don't open until 2pm. Her descriptions on the villas on Lake Como was also sketchy - again she did not know whether the bar would be open on the boat - it was. Again it seemed she had not had any preparation for the trip. To be fair to Zani Piaggi it appeared the second (male) guide was much more clued up on the trip and made useful contributions to our knowledge whilst he was acting as the guide on the bus. The lack of public conveniences in this part of Italy was inconvenient, and given their was no toilet on the coach, it would be useful if the guides had pointed out that facilities are provided on the ferries. Nice day out and beautiful scenery. Only thing I didn’t expect was so much ‘free time’ to shop etc in lake Como. We were transported from Milan to Lake Como in a comfortable coach bus and had a great driver Marcello and tour guide Conrado. The tour guide was excellent and provided us enough info to take in Beautiful Lake Como and leave feeling educated in the many beautiful landmarks and history of this wonderful place. The only drawback was the guides head set was very scratchy and at times not working. Aside from that it was well worth it and Zani Tours on Viator gets 5 stars. This was a great tirp. I wish the tour guide could speak English a little clearer. We found it difficult to understand her especially with the boat motor. SHe did a great job; just wanted to understand more. This tour was exactly as advertised and very enjoyable. We traveled in a very comfortable coach bus to Como and the tour guide provided information to us along the drive regarding Milan city sites as well as Como sites. The ride took one hour. Once in Como to tour continued for a short while and then we had our own time to walk around and check out the town. We took a ferry ride to Bellagio and the tour guide continued to point out places of interest along the ferry ride. Once in Bellagio we had our own free time to walk around. This is well worth it for a break of the bustling city of Milan.